PARIS: More than 113 million people across 53 countries experienced "acute hunger" last year because of wars and climate disasters, with Africa the worst-hit region, the UN said on Tuesday. Yemen, the Democratic Republic of Congo, Afghanistan and Syria were among the eight nations accounting for two-thirds of the total number of people worldwide exposed to the risk of famine, the Food and Agriculture Organization (FAO) said in its 2019 global report on food crises. Launched three years ago, the annual study takes stock of the countries facing the greatest difficulties. 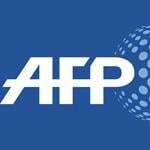 African states were "disproportionately" affected as close to 72 million people on the continent suffered acute hunger, the FAO’s emergencies director Dominique Bourgeon told AFP on Tuesday. Conflict and insecurity remained key factors, along with economic turbulence and climate-related shocks like drought and floods, the report found. In countries on the verge of famine, "up to 80 percent of the population depend on agriculture. They need both emergency humanitarian aid for food and measures to help boost agriculture," Bourgeon said. The report highlighted the strain put on countries hosting large numbers of refugees, including neighbouring nations of war-torn Syria as well as Bangladesh, which has received more than a million Rohingya Muslims from Myanmar. The FAO said it also expected the number of displaced people to increase "if the political and economic crisis persists in Venezuela" which is likely to declare a food emergency this year.